The history of the extraction of limestone at the Maciço Calcário Estremenho is intertwined with the history of SOLANCIS, both beginning in the first decade of the 20th Century. 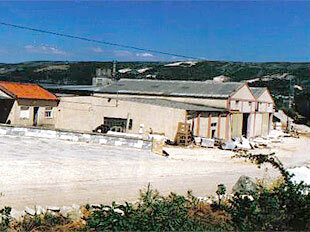 At the beginning of the first decade of 1900, José Oliveira Delgado began to exploit the resources of the Vale de Louceira quarry in Turquel, Alcobaça. The stone was extracted and transformed, at the site, into stone containers used to store olive oil and in which meat was salted throughout the year. Two men handled the levers and saws, a working day which earned them 7$50 daily. The transportation of the products to surrounding areas was made by ox-cart, whereby it could take a whole day to travel 30 kilometres. 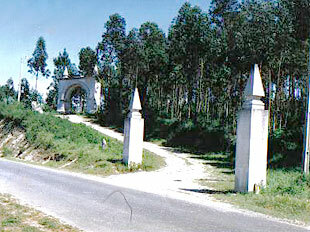 The trade began to develop more from the 1920s, when Silvino Oliveira Delgado inherited the business from his father. He, now using a jack, and later a compressor, was dedicated to the production of masonry and gravestones for cemeteries. In 1951, aged 17, Manuel Costa Oliveira Delgado was charged with the management of his father's company. The enthusiasm resulting from a contract awarded for the stonework on a prestigious construction — namely the Benfica football ground (Estádio da Luz) — led to the purchase of land for the installation of a sawmill. The company was officially founded in 1969, initially with seven partners: Adelino Costa Oliveira Delgado, António Costa Oliveira, Augusto da Silva Castelhano, Avelino Ramalho dos Santos, José Eleutério, Manuel Costa Oliveira Delgado and Manuel Luís Alexandre. Two years later Manuel Mendes Garcia joined the partnership. At the beginning of the 90s there were three partners: Avelino Ramalho dos Santos, Maria de Lourdes Costa Ribeiro and Manuel Costa Oliveira Delgado. Later the children of the founding partners — Samuel, Pedro and Helena — took over the running of the company. Exportation became a determining objective and the strategy was quickly proven effective. Currently the company exports more than 90 per cent of its production. 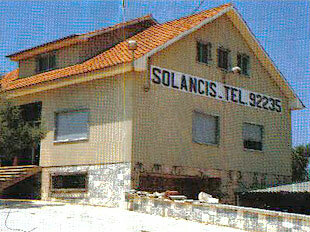 SOLANCIS is now one of the most important companies in Portugal in the sector, with 90 employees. Get to know our stones, products and portfolio. We are at your disposal, contact us now so that we may advise you on the ideal stone for your project.